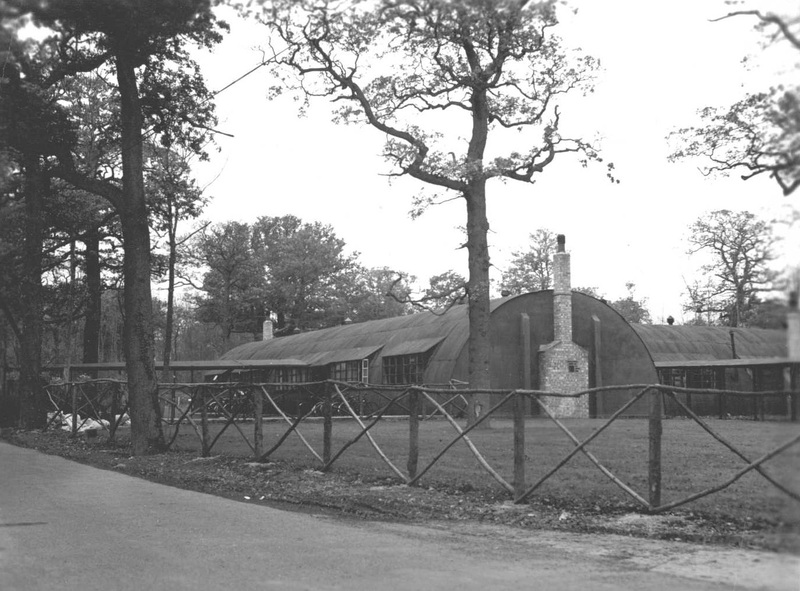 Like other military bases, the 384th Bomb Group had an officers’ club. 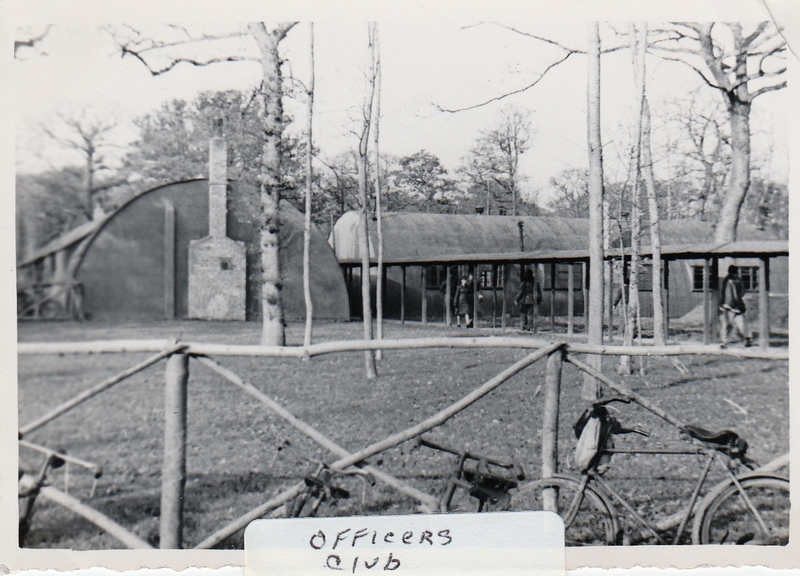 It was located near the Officers’ Mess and the Foxy Theatre. That evening I went to the club bar to try to thaw a chill in my bones that was caused by more than the Midlands fog. My ration of Irish whiskey was poured by the amiable Primo, who owned his own bar in Boston and acted here as a father confessor. I wished I could tell him my troubles, and realized how close I was to crying in my beer like so many of the others. 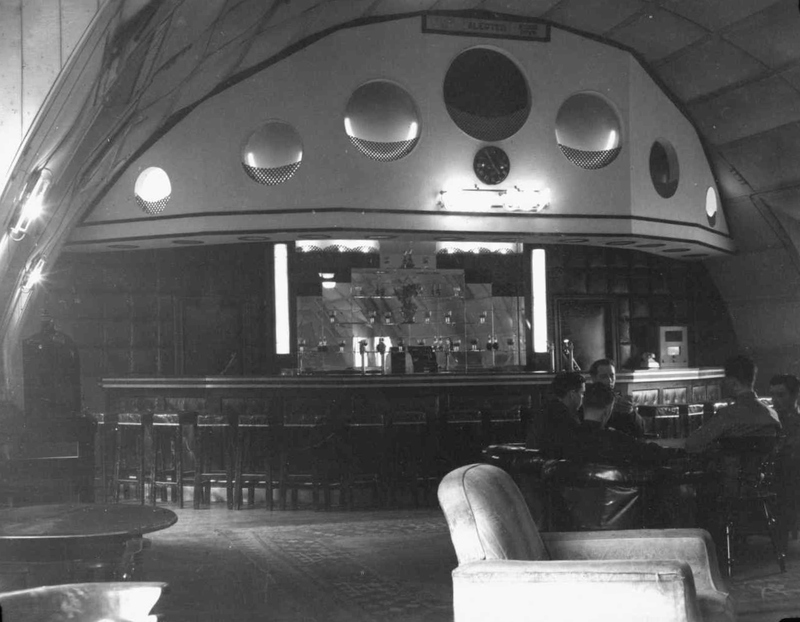 The bar of the 384th Bomb Group Officers’ Club. 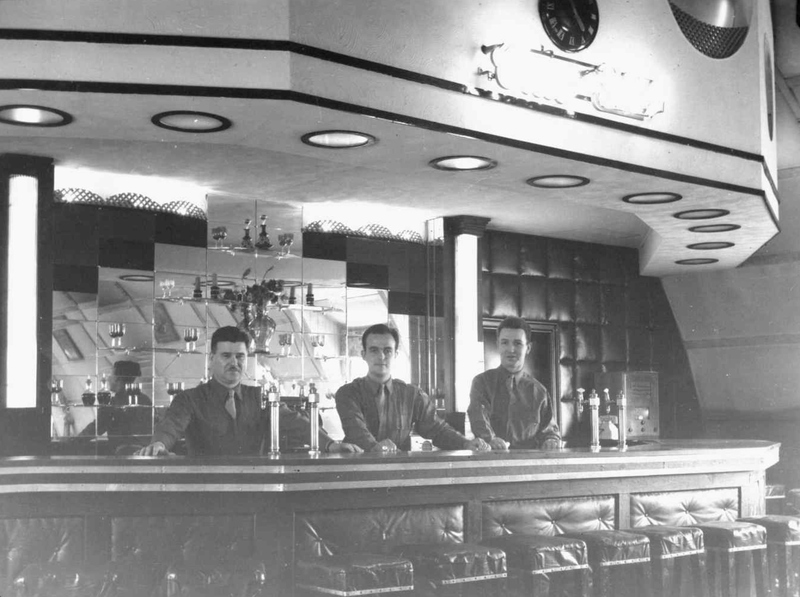 The bar of the 384th Bomb Group Officers’ Club. 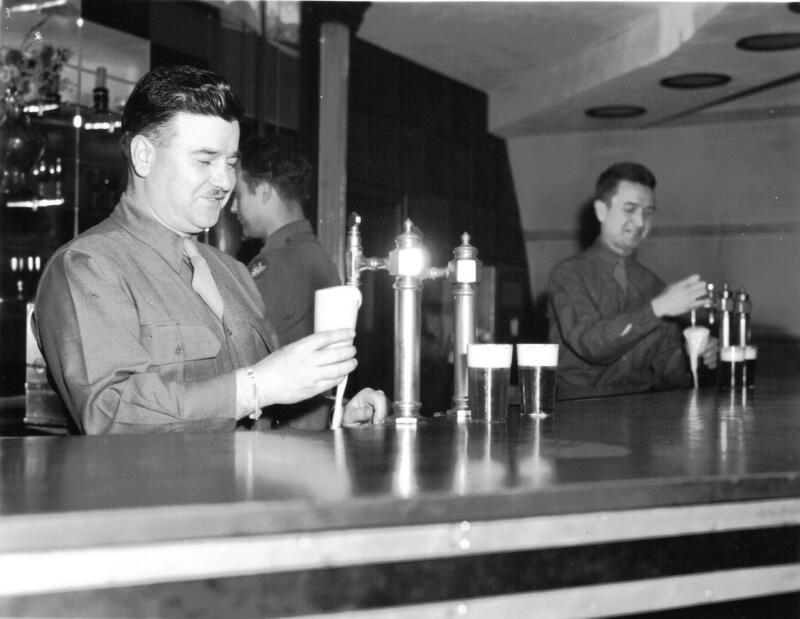 Bartender Primo Lombardi on the left. 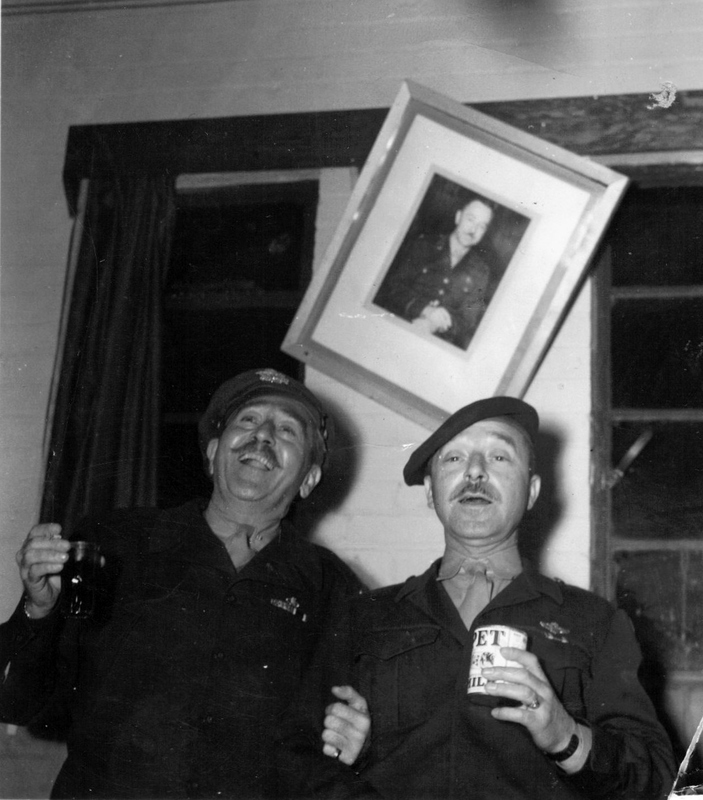 American actor Adolphe Menjou on the left and the first commander of the 384th Bomb Group, Colonel Bud Peaslee on the right at the Officers’ Club. 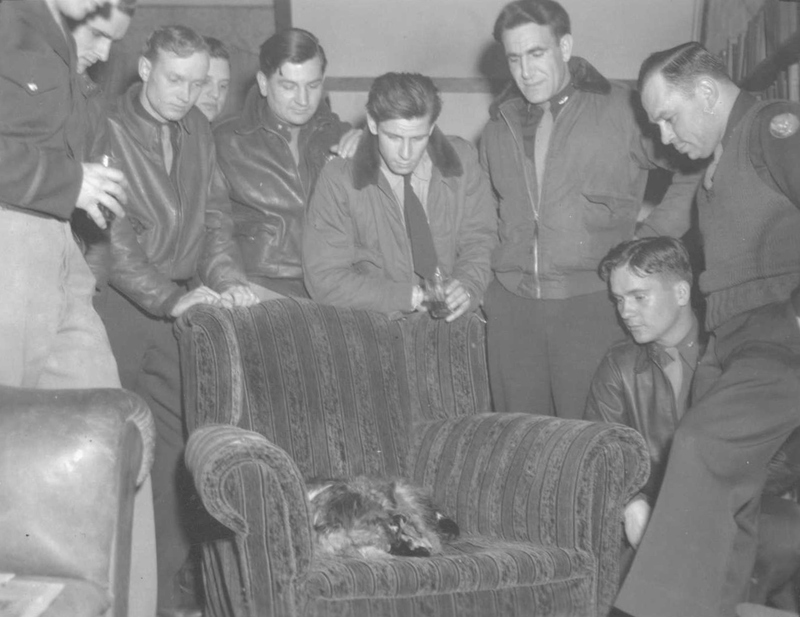 Dog gave birth to pups in Officers’ Club, May 5, 1944. 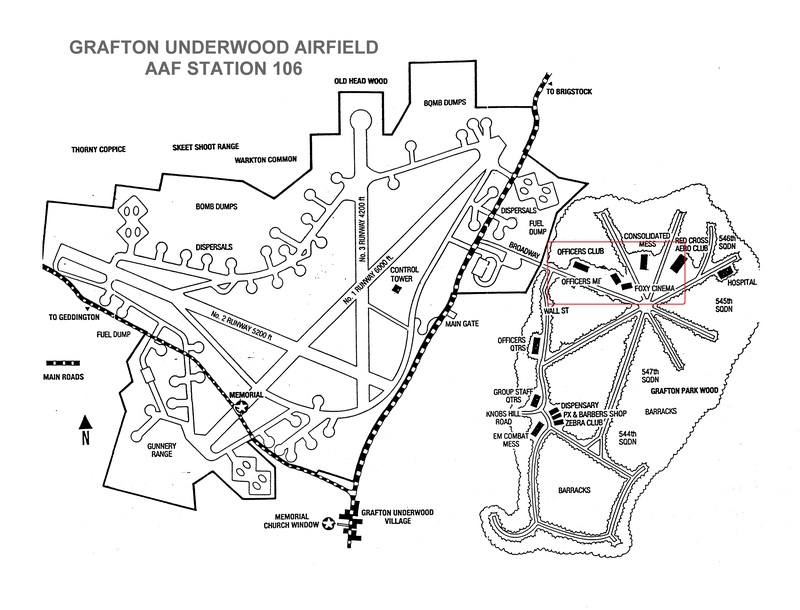 By thearrowheadclub in 384th Bomb Group on June 15, 2016 .